A Hearty Lunch at Floating Island Restaurant! We were at Makati Medical Center last March 3, 2012 for my son’s and husband’s check-ups. It was past lunch time when father and son were done with their medical appointments, so we decided to just head to Floating Island Restaurant to have our late lunch. 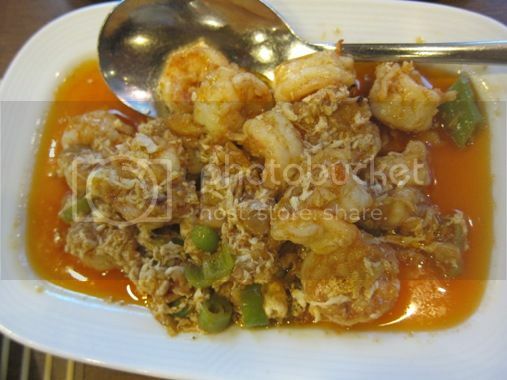 The naturally sweet taste of the shrimps blended perfectly with the slightly spicy oil-based sauce. We all loved this! We also highly recommend their beef salpicao. The meat was tender and tasty. Our server said this was one of their bestsellers, so we ordered this. This was actually the first time I tried a kilawin dish. It took me a while to get used to the sour taste of this kilawin, but it was okay. It needed more salt, though. We always enjoy eating at Floating Island Restaurant because of their delicious food. We’ll definitely come back again to try their other delectable treats. This entry was posted in Filipino Cuisine, Floating Island Restaurant, Food Friday, Food Trip Friday, Makati Medical Center. Bookmark the permalink. 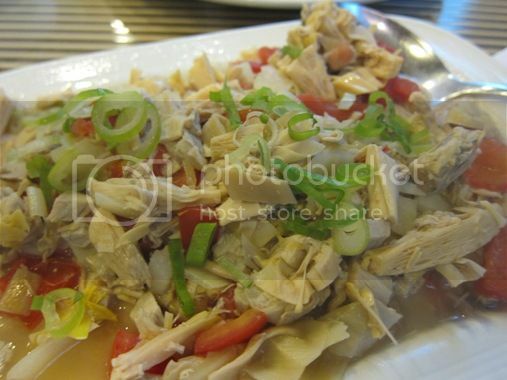 19 Responses to A Hearty Lunch at Floating Island Restaurant! everything looks YUMMY! i haven’t tried kilawing puso ng saging before, but it looks like something i’d love to try! wow! what a great experience lalo na when you like their food…kakagutom! i also love their Molo Soup. :p it was all that i ate when i was confined at Makati Med a few years ago. my mom makes a delicious puso ng saging salad. I’m suki at MMC but I haven’t tried eating here, tago kasi, tinatamad akong pasukin. I’ll take your word for it. Hubby likes beef salpicao, next time we’ll have our lunch there. I’ve always loved Floating Island, great food! 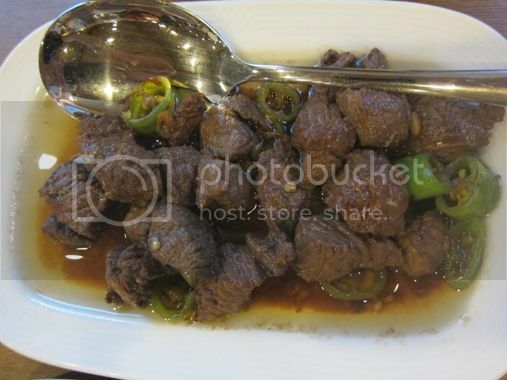 I love beef salpicao! mouthwatering! I think you order just the right combination. Mukhang ang sasarap talaga! The gambas al ajillo looks incredibly tempting. I thought about floating island as a restaurant in Manila Bay.. 😛 I love kilawing puso ng saging and all other kilawin recipe..
Oh girl, these food are delicious looking. I am hungry! I miss puso nang saging so badly. Hmmm.. Maybe I can find some at the Asian store. I so want some! Visiting via FTF. wow sobrang mahal naman ng beef salpicao but it looks like yummy though thanks for dropping by sis!